Amidst all the CES madness, it seems like someone accidentally leaked Google’s CES preview video for Android 3.0 Honeycomb. The video was quickly made private – but, hey, once its on the internet its already too late. The video introduces Honeycomb with the words - “Built Entirely For Tablet” – which seems to confirm some of the rumors that has been going around that Honeycomb is not for phones. 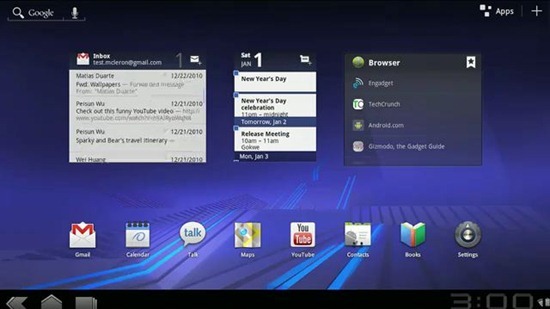 Judging from the video, the Honeycomb interface looks amazing and unlike anything we have seen on any tablets. 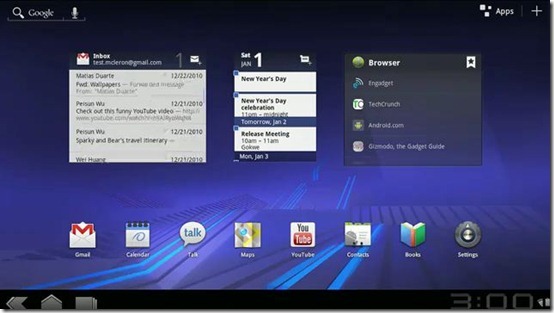 Honeycomb combined with the right hardware (Motorola Xoom?) could very well be the iPad killer.